Emotional intelligence interview questions help hiring managers and recruiters assess EQ in job candidates as part of the interview process. Selecting the right EQ interview questions can be a key factor in finding the best employees who’ll fit in the company culture. and manage their emotions to adapt to different environments. and adapt well to change. Recruiters and hiring managers should measure emotional intelligence by asking specific questions that are relevant to the role they’re hiring for. For example, an emotionally intelligent salesperson is able to manage their frustration when listening to clients’ complaints. Similarly, a developer with a high EQ doesn’t get upset when their colleagues find bugs in their code during code reviews – instead, they accept their colleagues’ feedback and refocus on their work. Certain emotional qualities are essential for all team members, regardless of their role. Emotionally intelligent employees have a natural empathy for other people’s feelings, which makes them thrive in a team environment. They build trusting relationships and effectively communicate with coworkers and customers. They’re also aware of their own strengths and weaknesses, which means they’re usually more open to receiving feedback than employees with lower levels of social intelligence or emotional awareness. Tell me about a time you faced an ethical dilemma at work. How did you deal with it and what was the result? Tell me about a time someone criticized your work. How did you respond and what did you learn? How would you resolve a dispute between two colleagues? If a customer called to complain that the price of our product/service is too high, how would you handle it? Tell me about a time you had a conflict with your supervisor. How did you resolve it? Give your candidates some time to think of something from their personal experience. Or, give them a hypothetical scenario to test how they’d react. Choose something that they’re likely to face if you hired them. If your candidates describe a past experience, they should be able to elaborate and give you the entire picture. If necessary, ask further questions. “How did your relationship with your supervisor change? 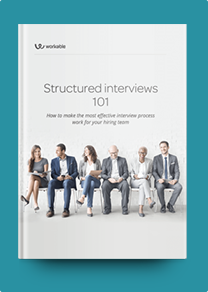 Pay attention to your candidates’ reactions and body language as they answer your questions. Do they still seem unhappy when talking about negative feedback they received from their manager, or can they explain how they improved as a result of the feedback they received? Tailor your questions to scenarios that match your company operations. For different roles, some emotional intelligence qualities matter more than others. For example, if a salesperson claims that they don’t react to client complaints, that could mean that they are indifferent or unmotivated and easily give up. But, for a social media coordinator, this response could be a good sign; instead of immediately responding to a bad comment, they might choose to get in touch and address the issue in a more discreet, appropriate way. Translate the answers you get into real work experiences. Avoiding conflicts can be considered an advantage in some cases. But in a professional team, it’s an indicator of an employee who suppresses emotions and could cause collaboration and performance issues in the long-term. Boilerplate, templated answers, like: “I had a disagreement with a colleague on a project, but we sat down, discussed and solved the issue.” These kinds of answers seem ‘canned’ and give no specific examples from experience in real work environments. Short, general answers, like “I stay calm under pressure” or “I’m good at collaborating with other people.” These answers are too vague to be useful – look for detailed responses that draw on an experience, instead. Criticizing or accusing supervisors and/or coworkers. Candidates who criticize others may lack self assessment skills and avoid taking accountability for their actions. However, it’s not necessarily off-putting if a candidate describes a negative experience, so long as they have learned from their mistakes and changed their behavior. Contradictory body language signals. Candidates who seem uncomfortable answering emotional intelligence questions, or who demonstrate poor impulse control, usually don’t perform well under stressful situations.